Inspired by a love of art, wholeness, health and happiness, Rio Shanti is perfect for those who are looking for boutique, spa, yoga, and dance center under one roof. 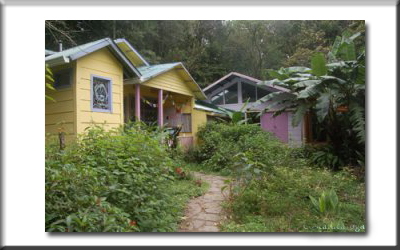 This center is located by the banks of the Quebrada Cuencha in the cloud forest of Monteverde. It is just like a magical place promoting peace, health and happiness. While staying at this center, you can enjoy browsing arts and crafts from all over Costa Rica and beyond. It has a modern massage center ideal for enjoying relaxing massage. You can also enjoy learning Yoga workouts and dancing by joining the classes based on yoga and dance offered by the center. You can also just enjoy hanging out and enjoy the view of the garden and surrounding forest. Río Shanti is housed in the oldest structure in Monteverde, a Quaker home, locally known as the Boehm house. It was constructed in 1949 and since then it has been a residence, a tea room, the offices of the Monteverde Institute and, most recently, the Community Art Center. Rio Shanti is working hard to secure much of it’s past essence and history as well as developing the site into a center for well being, health and arts for both the local community and visitors to Monteverde. During your vacation in Monteverde you can stay at the charming guest house CasAmor that is like a home. This house features its own kitchen, a living room and a covered outside sitting area, phone and all other facilities that you need for enjoying a comfortable stay. In the morning you will enjoy waking up in your king-sized bed and watching out at a stunning view that spans from the cloud forest that surrounds you all the way down to the Gulf of Nicoya in the distance. By listening to the nearby stream entices you will out of the bed and go downstairs to take a cup of hot Monteverde coffee. This house also has an outdoor bathtub with a fabulous view. At Rio Shanti boutique you will find unique and beautiful works by local artisans. You can visit this boutique and see ever-evolving selection of jewelry, clothes, candles, ceramics, artwork and a wide variety of natural body care products and many more. Rio Shanti offers some unique yoga courses that are customized to help the practitioners to get total mind-body alignment. 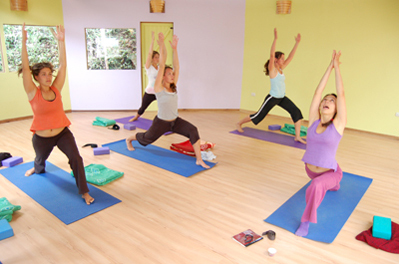 In this center you can join different types o Yoga classes including Vinyasa Flow Yoga, Gentle Yoga and Restorative Yoga. 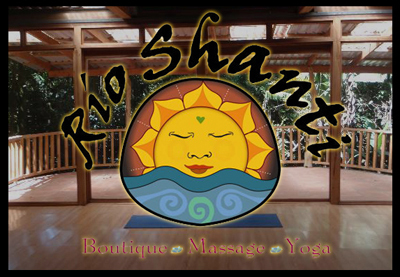 Rio Shanti offers yoga sessions that is designed for the practitioners from all levels. Beginners will get a perfect start from this session and the advanced level yogis will get the opportunity to develop their skill. In this center you will meet Katy and Natalya who are very very experienced and friendly instructors and will guide you throughout the sessions. These are gentle and invigorating class that are based on the teachings of traditional Hatha Yoga. By joining this class, you will not only learn some basic yoga stretches but also some breathing techniques. At the end of each Yoga session you will enjoy a meditation session. At Rio Shanti you can learn Brazilian and Afro-Cuban Caribbean Dance. This center also offers A rock’n work-out to the great Latin rhythms salsa, merengue, reggaeton, hip-hop, and bachataclass. You can also join Ballet class designed for beginners and also can enjoy a Hip Hop dance class.